The Spymasters: CIA in the Crosshairs (2015) is an engaging Showtime documentary in the spirit of Errol Morris’ The Fog of War (2003) and Dror Moreh’s The Gatekeepers (2012). Directors Jules Naudet and Gedeot Naudet use the same technique of interviewing former government officials to determine what they take themselves to have been doing as they participated in or directed what came to be highly controversial tactics rationalized in the name of national defense. The Spymasters features former directors and officials of the CIA who share their perspectives on “enhanced interrogation techniques” and “targeted killing” carried out during the Global War on Terror (GWOT). By telling the story of the war on terror from its beginnings, the film helpfully illuminates how the US government arrived where it is today, executing unidentified military-age men located thousands of miles away and in countries where war was never officially waged. The 2001 Authorization of Use of Military Force (AUMF) has been held up at each stage along the way to explain why the US president is allegedly free to fire missiles on anyone he chooses and anywhere he believes there to be potential danger on the horizon—whatever his standards and evidential criteria may be. It’s always good to find out what the perpetrators of state homicide think about what they have done, even though they have an evident interest in forging a positive image of themselves for posterity. Still, reading between the lines of their sometimes diaphanous attempts to exculpate themselves from any moral wrongdoing—even if they own that mistakes were occasionally made—one discovers a wealth of insight into what has transpired over the course of the last sixteen years. One of the most significant citations, though a statement of the obvious, is former CIA director George Tenet’s frank acknowledgment that “We’re all human beings,” which serves as a blanket apology for all parties involved, for everything that they did. However, there is lots of blame to go around, and most of the directors, including Tenet, are more than willing to point the accusatory finger at somebody else once the details of the various episodes are looked at more closely. 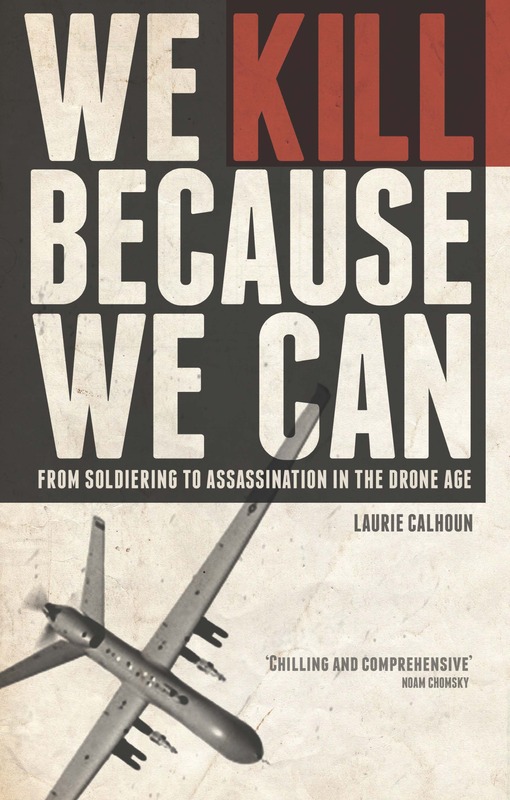 The film covers four major intelligence failures and presents a short history of what transpired in the lead up to and during the Drone Age. Big Mistake #1: Failure to Stop the Terrorist Attacks of September 11, 2001. Others seem more convinced that the primary failure was the lack of communication between the CIA and the FBI. Had the two agencies only communicated with one another, then some of the suicide bombers might have been apprehended and the attacks thwarted. The result of this mistake, no doubt the collective fault of many individuals, was the destruction of the World Trade Center and part of the Pentagon, and the deaths of some 3,000 Americans. Even worse, it led to the Global War on Terror, still going strong sixteen years later, destroying country after country, across the Middle East. Tenet may be right about that, but, in retrospect, everyone recognizes that the administration was publicly bolstered by the apparently enthusiastic support of the invasion by the nation’s top intelligence analysts. The result of this colossal blunder was a brutal war in which hundreds of thousands of Iraqis and thousands of Westerners—including soldiers, aid workers, and journalists—died. Part of the widespread chaos was a result of the fact that Muslim men from other lands were galvanized to travel to Iraq to take up arms against what they quite rightly regarded as the unjust invaders of Iraq. Many of those men were killed, while many survivors were radicalized, coming to ally themselves with Al Qaeda or ISIS. From 2001 to 2006, the CIA ran a secret rendition and detention program in which harsh interrogation techniques were used. The program was later denounced by a Senate committee and President Obama as unacceptable torture, both wrong and ineffective at stopping attacks in the US homeland and abroad. The result of the enhanced interrogation program was to thoroughly tarnish the image of the United States, but, even more devastatingly, to produce recruiting material (such as the photographs from Abu Ghraib prison) taken up by Al Qaeda and related groups, which have continued to thrive and spread to other countries beyond Afghanistan and Iraq. The result of all of this premeditated, intentional homicide has been arguably to radicalize even more Muslim men, ever younger, and even to extend the summary execution without trial to citizens of Western nations. Men such as Anwar Al-Awlaki, Samir Khan, Ruhul Amin, Reyaad Khan, and Junaid Hussain have been intentionallly hunted down and executed by their own government rather than being captured and allowed to stand trial. Judging by the concerns expressed repeatedly by the drone warriors in the CIA, every suspected terrorist is now regarded as potentially a future Osama bin Laden, even though many of the targets are quite young and have explicitly expressed their anger at the US war on terror, in which millions of Muslims have been killed, maimed, terrorized, or driven to flee their homeland in search of safety and security and to avoid being destroyed by missiles and bombs. Especially noteworthy is that the officials involved in the “enhanced interrogation program” are highly skeptical of the Obama administration’s drone program and what was effectively a decision to call a halt to detention, and instead to summarily execute all military-age males suspected of possible complicity in terrorism or association with radical jihadist groups. For their part, the drone killers interviewed—above all, John Brennan and Leon Panetta—decry the enhanced interrogation program as having involved torture, which, they insist, Americans should not be perpetrating. The underlying problem with the conflict in the Middle East, which is not treated in the film, can be traced back to the 1991 Gulf War on Iraq. Unfortunately, no one among the interviewees seems to know or care that Osama bin Laden explicitly claimed to be retaliating, in particular, against the deaths of 500,000 Iraqi children in the aftermath of Desert Storm, when draconian sanctions prevented access to medications needed to address the illnesses caused directly by the obliteration of water treatment facilities by the US military. Bin Laden made no secret of the source of his rage, but the US government preferred to promote soundbites such as “They hate us for our freedom,” rather than imagining what it would be like to witness the slaughter of innocent civilians by the US military. All of that said, the fact that some of the directors are willing to express reservations about the US government’s current lethal and short-sighted approach to the problem of factional terrorism offers a modicum of hope that one day the Agency will be reined in again after having administered both George W. Bush’s horrific detention and torture program and Barack Obama’s revved-up drone killing machine. At this site I am keeping track of and commenting on developments in the use of lethal drones since We Kill Because We Can went into production in early 2015. In addition to moral and political analysis and criticism, I am also posting some longer essays, reviews of relevant works, links to my interviews and announcements about the book. Please join the conversation and debate the use of lethal drones! Why whistleblowers are essential to democratic societies (book excerpt).